1968 saw the introduction of the fantastic 24th scale range with the Jaguar E-Type. Only released in red, white and green they are magnificent models. The weakest aspect of the model is that the sides curl inwards due the lack of suporting ribs on the inside but other than that they are fine models. It wasn’t until 1971 when the Jaguar E-Type was produced by the Scalextric factory in Spain. 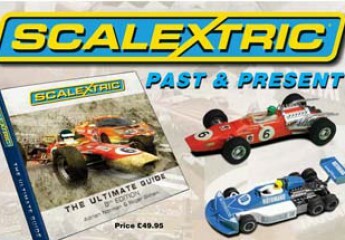 Red and green liveries were released in to the UK Scalextric range. The UK release cars were immported from Spain as a complete set of parts less the wheels. The cars were then assembled with distinctive yellow plastic wheel hubs from the UK factory inventory. Spanish releases came in a larger range of colours witth Spanish made chromed wheel hubs. The car was also produced in Mexico, again with a mix of Mexican made components and in different shades of the various colours. In 2018, Scalextric Hornby Hobbies, with new tooling for the E-Type. released the car as part of the general classis car range.